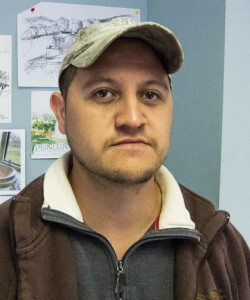 Jose Hernandez | Abrahamse & Company Builders, Inc.
Jose started in March of 2012 as a carpenter. He is continually sought after for various projects, and has become an integral part of the team at the Westminster-Canterbury of the Blue Ridge. He has an easy demeanor, and is great to work with. Jose is currently remodeling his home, and is very involved with his three children. He is also a pianist for his church each week.